It would be a mistake to think that all the usage of T'ai Chi rests in the Push Hands. This aspect of the art can, in the wrong hands, reveal almost nothing of the greatness of T'ai Chi. Or it can be an invaluable aid in the refinement of such skills as sensing and responding. Push Hands is also far more flexible and variable than most people imagine with an almost endless numbers of methods to hone the practitioners skills. Besides Push Hands there is Fa Jin practice, and applications and sparring. The world of applications should inform the world of single practice and vice versa. Wang FengMing is a follower of the famous Taichi instructor, Feng ZhiQiang. This is a very serious attempt to give some real information on the practice and refinement of Push Hands skills. If you have—like me, and many I know— spent much time with questionable results in trying to capture just what Push Hands is all about, you will appreciate the range and scope of this effort. Some topics include • 13 postures explained • silk reeling • vital point striking • 7 methods of Push Hands • 20 Taichi energies examined and explained. One of the best things about this book, other than its quite solid English translation, is that it takes its time and gives some in-depth information on each of the Taichi energies such as exercises and Qigong postures relating to PushHands. It also gives a bonus by have the main usage demonstrated by Feng ZhiQiang himself. One of the best books on Push Hands available; an ambitious project. Excerpt: Pressing Energy.Pressing (ji)—or, literally, squeezing—energy is like a nail being hammered into wood. In push-hands, pressing energy is often applied with the two palm put together forming a sharp wedge to push forward. Pressing energy is called "resultant force" in mechanics. the application of pressing energy, backed by internal power and combined by the techniques of the six hamronies, should merge the intent, qi, and external movements into a single point, emit energy at the point, and have the idea of penetrating the target link with the pressing energy." Sifu Mark Small brings the teachings of many instructors together in what might be called a book of comparative principles. Having studied over a forty year period with various instructors such as Chang Tsung-Sheng, “The Butterfly King”; Liang Shou-yu, a Shuai Jiao champion; JouTsung-Hwa, Chen Yun-Ching and Choy Kam Man, he can legitimately claim to know something about his subject. For instance, here is one important and powerful example: Small shows that the basic fighting posture of all these arts is essentially the same. Further, he demonstrates that this meta-posture can be applied to many throws. He then goes on to enumerate the use of different energies in throwing, including well-known concepts like Warding, Pressing and Plucking. He also offers us a wealth of comparisons between the arts and the styles uncovering key principles used by the various methods. There are so many ideas tucked away in the middle of paragraphs and side notes that the reader will have to be attentive to break them out to apply them. This is a good text for intermediate and advanced martial students. 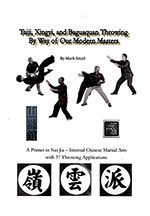 This is a work book on the Push Hands of the Wu style. What can we say? There are so many stories of Master Ma throwing people this way and that it appears he was the possessor of superlative skills. Wu style had always had the reputation of being strong in this area and here is a breakdown of the patterns and variations inherent in the practice. This book is not always easy to get. The explanations are pretty complete but, as any text might, it suffers from the difficulty of trying to convey this complex subject matter through the written word. Nonetheless, this borders on being a collector's item recording the moves and patterns of a man famous for his Push Hands skill. Over 500 illustrations and photo sequences demonstrating each form, its lineage and theoretical basis. Powerful tools to recognize and use the unique strategies and skills of each style. 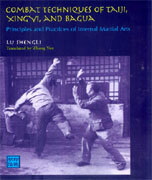 In-depth practical and theoretical explanations of martial applications. History and analysis of basic martial practices. Essential movements, including fist, hand, shoulder, hip and knee skills, stances and steps. Basic post-standing practice of each art, and usage of Fa Jin (explosive force) in each." Here's a text that originally came out in 1975, in Hawaii. Andrew Lum's first book on Tai Chi was good (this is the second in the series) but this one has much more sought after material. Mr. Lum was a student of Tung Hu Ling and this is well repersented in the "faster" form of Tai Chi he shows here. Though the photos are a little light some times the layout is informative with the form breakdown on the top of the page and the applications directly beneath. There are also later sections on Push Hands and specialized applications for mulitple attackers and for women's self defense. His Push Hands section has captured some of the dynamism of the Tung branch of Tai Chi. And the applications, though we have more information now, are actually quite good in some cases especially in contrast to other usage shown at the time. Oversized. This is an interesting and significant book. Bear with us for a second. This text by Paul Tam comes from a rare branch of Tai Chi associated with our own great grand teacher Gu Ru Zhang. Grandmaster Gu is world famous, always associated with his Northern Shaolin style. There is a photograph of him performing a multiple brick break which has crossed into the legendary category. He was also a compatriot and student of Sun Lu Tang who taught him Tai Chi. He amalgamated this instruction with Yang style derived from Li Jing Lin, the famous sword master. The version he created is like very old Yang with some Sun and is very relaxed. We have had a number of friends and colleagues in this style, which is even more rare than the Chen Pan Ling form. Now one of the interesting little bits is that mutual friends and acquaintances unconnected with the style have occasionally said that the Tai Chi students from Gu's lineage, though not famous, are among some of the best they have ever seen. But Gu is only rarely associated with the style. This book is oversized and gives a very clear breakdown of the entire Gu set which he called "Sun" style. It also has a very rare section of translation from Gu's own Tai Chi writings. Also a biography of both Gu and Sun; some translations from Sun's Tai Chi writings, some from the Classics. There are also notes on Push Hands and a huge lineage chart. NOTE: This is an oversized book with a beautiful gray and green cover. Unfortunately the green is very subject to scratching and if you order you should be prepared for a less than pristine surface. 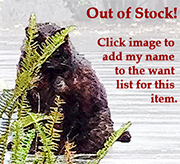 We are unable to send them back to Hong Kong for minor complaints. 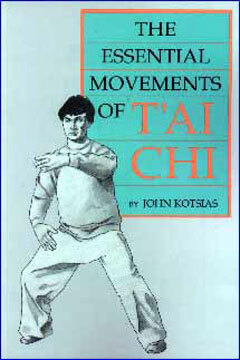 These are the words of Marshall Ho, respected T'ai Chi teacher on John Kotsias, the author of this book. Having actually READ the book and talked to Mr. Kotsias extensively on the phone we can only concur. His interest in and knowledge of T'ai Chi is impressive. His experience is deep. How do we know and how did we know before meeting the author? The book is so simple, straight forward and fundamental it is the one we most often recommend for either a beginner or someone who is advanced but wants to really learn the basics of such important foundational concepts as standing and turning. An excellent and well structured text. "John Kotsias is a linguist and professor of mathematics and a passionate martial artist."